Evan Brom was first in line to sign up for the Esri User Conference, which will be held this summer in San Diego. 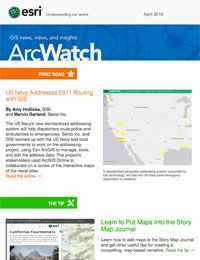 The first person to register for the 2015 Esri User Conference (Esri UC) rarely uses ArcGIS himself, even though his organization was one of the first to use Esri technology. 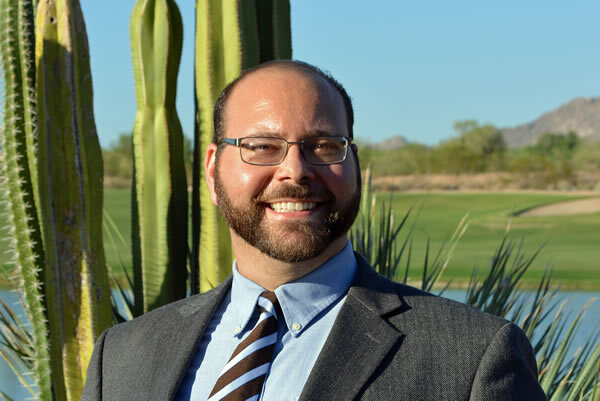 Evan Brom, chief information officer for the Arizona State Land Department, directs the GIS and IT departments and oversees the State Cartographer’s office. But he isn’t a regular ArcGIS user. However, he finds the Esri UC so valuable that not only was he first in line when registration opened, this will also be the fourth time he has attended the conference. Esri writer Karen Richardson spoke with Brom about his Esri UC experiences to learn what he finds so valuable about this event. Richardson: You confessed that you are not a regular GIS user, but you work with those that do? Brom: To be honest, I personally do not frequently work with Esri’s products, but my talented GIS team uses Esri software to accomplish great things including tracking landownership and rights-of-way and leases and performing complex analysis of the impacts of proposed actions. And with Collector for ArcGIS, my users are now able to take Esri on the road with them to collect data at its source. Richardson: How are you using Collector for ArcGIS? Brom: After learning about Collector for ArcGIS and its offline capability last year, we deployed the technology for our fieldworkers. Now, we use Collector to identify and update details about items such as fences, wells, mines, and other improvements to the trust land that we manage. This eliminates the double entries and forgotten details that occurred with our old method of using a GPS device and importing the GPX file. Using Collector offline is critical, since the areas we are inspecting are outside of cellular coverage. 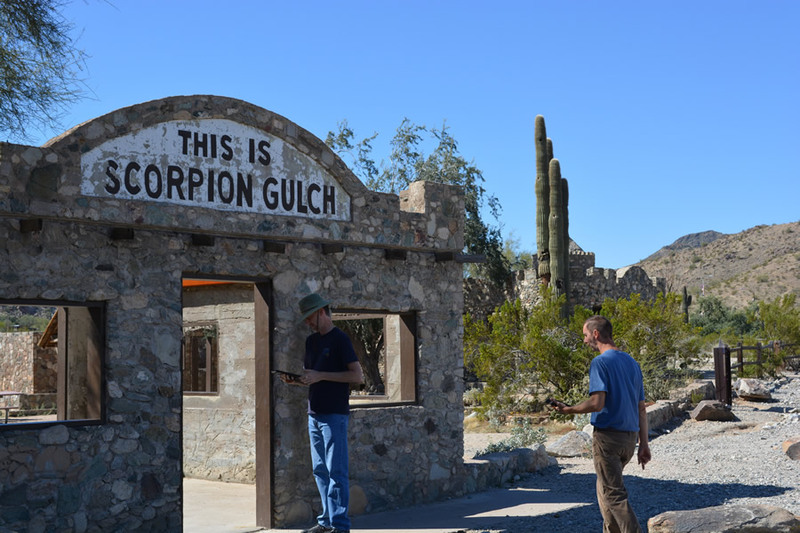 Arizona State Land Department employees use Esri's Collector for ArcGIS to gather data at Scorpion Gulch, an old trading post located in South Mountain Park, Arizona. We also like being able to take geotagged photos using Collector on an iPad. We found that rugged cases with a hand strap make it easier for our fieldworkers to traverse rugged terrain without being fearful of dropping the tablets. Having a good antiglare screen is also useful when we are outside in the intense Arizona sun. Overall, Collector has made life simpler and more streamlined for both field and GIS staff, as well as increased the quality of the data we collect. Richardson: How long have you been involved with GIS? Brom: I have been involved with GIS-related projects in some capacity for the past eight years. The Arizona State Land Department has a single-digit Esri user number and has made use of Esri technology since the early days. Some of our employees have attended the Esri UC dating back to 1982. Richardson: What is the most rewarding part of going to the UC? Brom: Seeing the different ways people can and are using the vast suite of products. Networking with other senior executives is another great benefit of attending the conference. 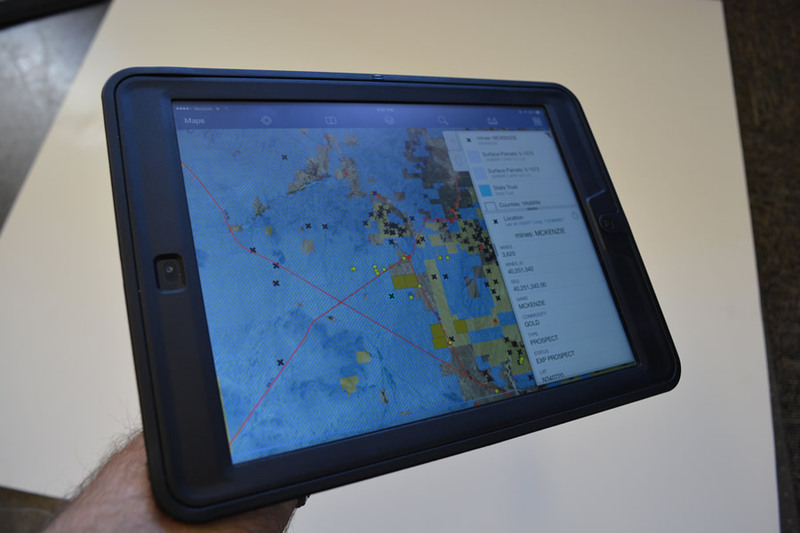 The Arizona State Land Department deploys maps on tablets. Richardson: What do you look forward to the most at the Esri UC? Brom: Learning about the new products, services, and techniques that will help me bring better, faster, more cost-effective solutions to the business. Richardson: How will you use what you learn from this year’s conference? Brom: That is hard to say, as I do not know exactly what I will learn yet. However, I think hearing about the road maps for ArcGIS Pro and ArcGIS for Desktop will help with some of our future plans. Richardson: Have you always liked maps? Brom: Ever since I was a small child, I liked globes, maps, and any visual representation of data. Richardson: Why is location important to what you do? Brom: Land is not a commodity. Each square foot we manage has its own unique features such as waterways, minerals, slope, habitat, and more. Location is the only true way to organize this data.